Several times a year we host a Coffee Chat for our clients. It is officially one of The Knowledge Procurement Sessions™ and is held to provide exclusive access to you and your guests to some of our industry’s best minds. 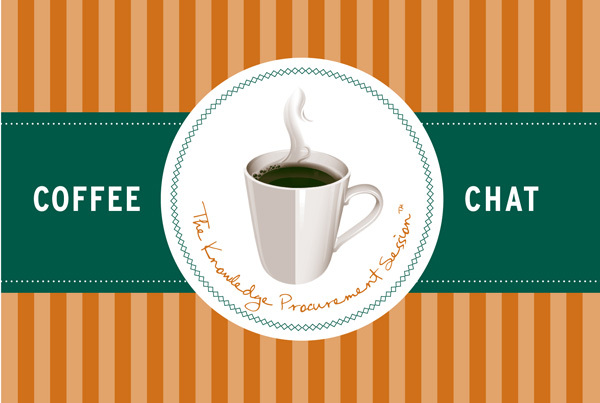 The Knowledge Procurement Sessions™ are designed to provide you with valuable insight to accomplish your Mission, Vision, Values, and Goals. Typically Coffee Chats are smaller, by design, to facilitate interaction amongst guests and our speakers.